Welcome to Alta Vista, one of Vistancia’s premier gated communities and an exclusive enclave of 53 homes. Views of White Peak, adjacent to Foothills pool and park and easy access to five miles of Discovery Trail, this semi-custom T.W. Lewis home is loaded with upgrades you won’t want to miss. 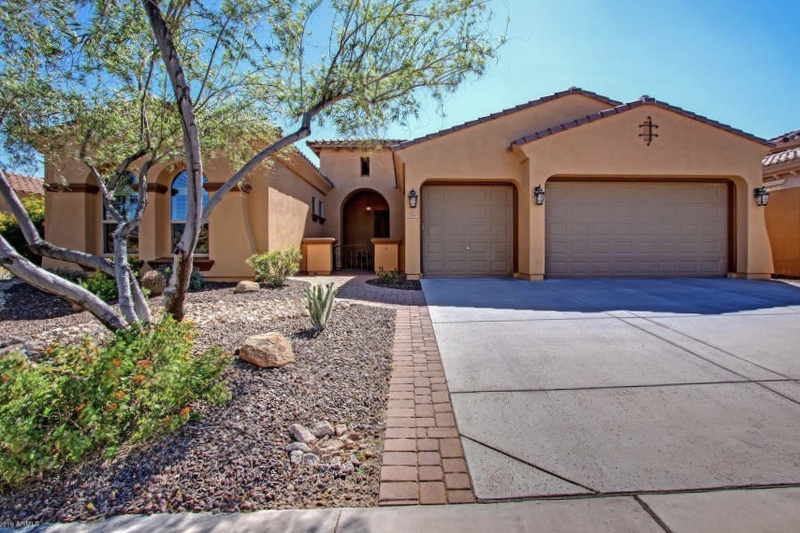 Foyer opens to formal space with double wide sliding doors leading to covered patio and pool. Split 4 Bed 3 Bath floor plan has spacious master suite with luxurious snail shower and soaking tub. Upgraded baseboards, neutral tile, hand glazed cabinetry. Kitchen features double ovens, stainless steel under-mount sink, 5-burner gas range, side-by side fridge. Stacked stone fireplace creates beautiful focal point for family room. Travertine decking and turquoise pool are pinnacle of resort living.